In recent years, the e commerce has changed the face of the world, and its significance appears to be escalating with every dawning day. Be it the applications like supply chain management, electronic funds transfer, electronic data interchange, enterprise content management, online shopping, order tracking, and social networking etc; the e-commerce plays an indispensable role. The clients exploring the online shopping portals may hardly understand the role of the professionals working for e-commerce development, but the businessmen today are well familiar with the immensely valuable services and supports they are receiving from the e commerce development professionals. For years, our e-commerce development professionals at W3INFOTEK have been rendering adorable services to our various clients, and you can contact us whenever you need the services of our experienced professionals. The multiplicity of the e commerce service providers has given choices to the businessmen on one hand, and on the other, it has also made it difficult to make perfect choices. Truly speaking, we do not believe in advertising our skills, expertise and services. We believe making our clients happy and satisfied through our expertise and dedication. In fact, our clients function like our spokespersons, and it is this reason that the clients from across the country are reaching for our services now. 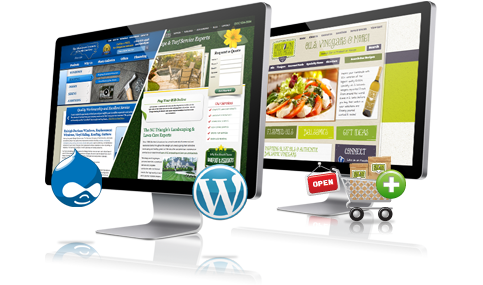 Whether you wish to get a new e-commerce website built, or desire to bring about some improvements in the existing e-commerce website; our experts are available for you in every case. Once you reach us, we would prepare you an e-commerce website in due time, and if you wish to add some lavish features to your existing e-commerce website; our professionals would be there always at your disposal. Transparency has been one of the salient features of our company, and at no stage would you feel being overcharged in a sly manner. We have always maintained the trust of our clients on us, and you would surely be happy and satisfied to have taken our highly efficient services.